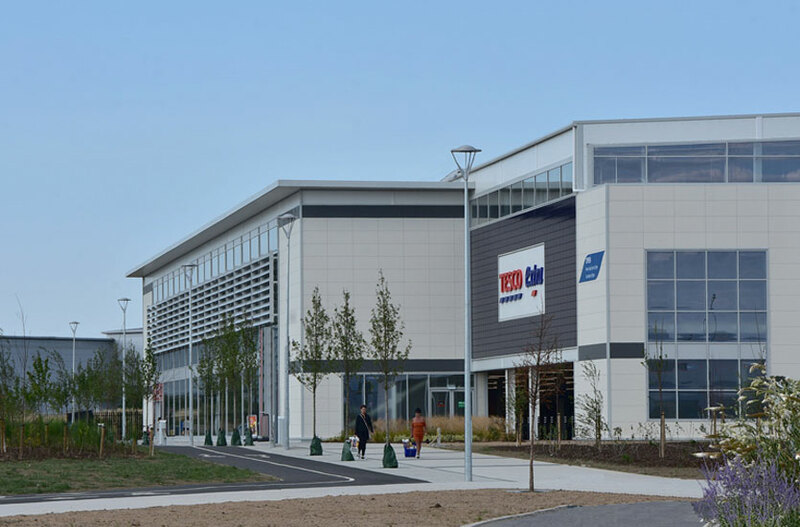 July 2018 – Tesco has opened its largest Store in Ireland to date at Liffey Valley Dublin. High Light Levels with the minimum of columns and clutter. These OptraLED 330w luminiares are made in in-house by VeeLite Lighting Ltd in Waterford. With high efficiency and wide spacings, typically only 4 Luminaires are needed to illuminate a Car Park of 100M x 100M, saving Poles, installation costs, underground wiring/trenches, Concrete Bases, etc. With the minimum of columns, the end result is less clutter/better appearance and more car park spaces. VeeLite also offer a lighting design service to determine the optimum layout or can provide photometrics. 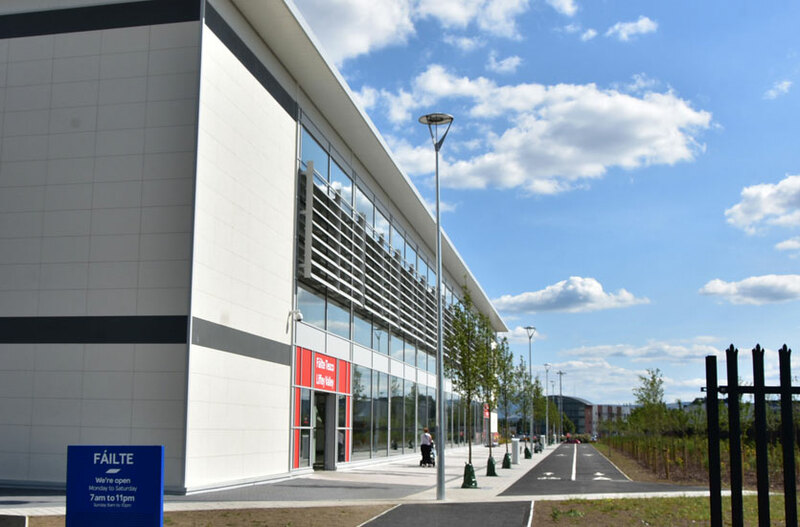 Other Projects in Ireland include Frascati Shopping Centre in Dublin and City East Plaza in Limerick. Projects supplied in the UK include Ashford International Rail Station in Kent.